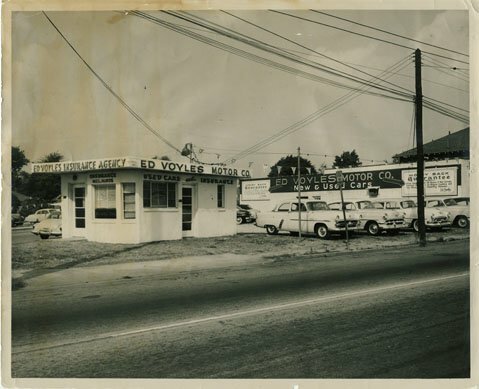 Our long history as the Ed Voyles Automotive Group stretches as far back as the Vintage Age of the auto industry, beginning with Ed Voyles opening a used car lot in East Point, Georgia in the early 1950’s. From these humble beginnings, our business experienced tremendous growth during the roaring 1960’s. After having served in the Air Force in 1945 during World War II, Mr. Voyles began selling Desoto/Plymouth automobiles and within a year was promoted to Sales Manager. After five years in that position a bleeding ulcer made him think about starting his own business. “I worked really long hours and finally had to have twelve pints of blood,” said Mr. Voyles. “The doctor did not think I was going to live and I was only twenty-eight years old.” In 1952, Mr. Voyles opened his first used car lot in East Point, Georgia, wanting to provide good, reliable cars to the public. Working for himself turned out to be a lot less stressful, and after five years of owning a successful used car lot, Mr. Voyles obtained his first new car franchise, American Motors. Mr. Voyles’ approach to the automotive business was a family centric approach and integrated the “Golden Rule” principle. The idea that one should always treat others as they themselves would like to be treated, was one that he lived by and tirelessly promoted in every aspect of relationships with customers, employees, and business partners. By adhering to these principles we saw a period of unprecedented prosperity under Mr. Voyles’ guidance. As our business thrived, so too did the communities around us. Mr. Voyles was a strong proponent of civic service who donated countless hours to local charities and community organizations, including the YMCA, the Boys and Girls Club, the Little League, and the Shepherd Hospital Foundation. Mr. Voyles took this same dedication to community involvement and integrated it into our business, organizing philanthropic events for the betterment of our community. With our community involvement, friendly personalized service, and family oriented business practices in place, we have continued to prosper. 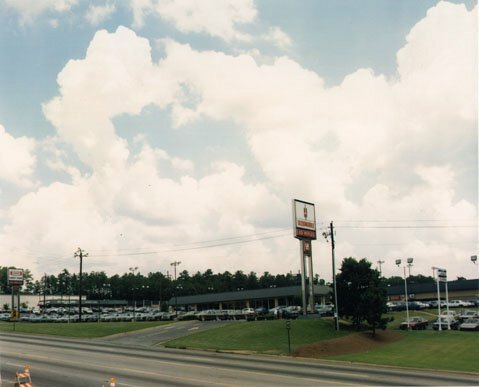 In 1967, we acquired the Oldsmobile dealership in southwest Atlanta. 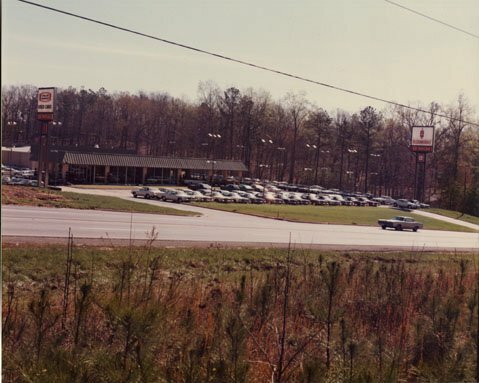 In 1971, Mr. Voyles sold that store to an employee and opened another Oldsmobile store on Cobb Parkway in Marietta, Georgia. The Following years saw continual growth for our business as we acquired the Honda franchise in 1973, then in 1982, added Chrysler. Since then we have added Acura, Hyundai and Kia to our family of stores. Through our long history we have preserved in times of hardship, and thrived in times of prosperity. From the beginning in East Point to the present day, we have built a distinguished reputation for our warm and dynamic way of doing business. With five members of our family still working full-time at our stores, we hope to continue serving our community and carrying on the Voyles’ tradition of service for many years to come. You’ll find all the information you need to research a new Honda. 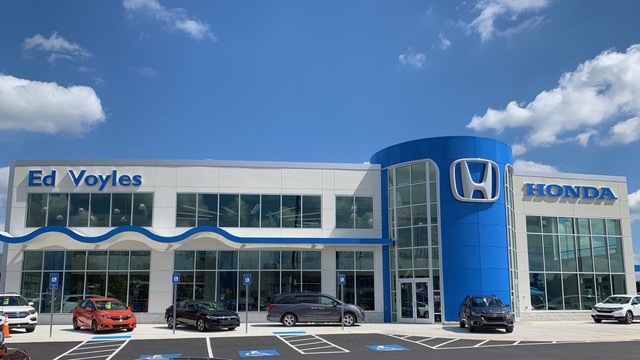 Search through our extensive selection of New Honda Vehicles and pre-owned vehicles. Need directions? Get Google Map to Find Ed Voyles Honda.